Oogie Boogie from "The Nightmare Before Christmas"
girlfriend, Tammy, as "Great Shape Barbie" from "Toy Story 3". Looks like they may be at DISNEYLAND!? Where can I buy this costume? 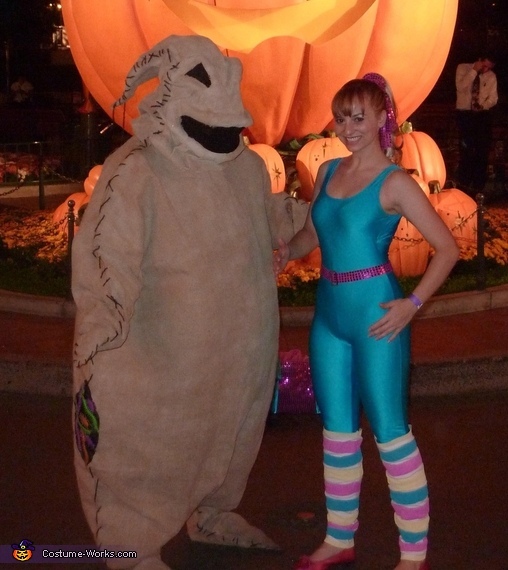 I am a HUGE oogie boogie fan!